As a participant in numerous courses at both the pre- and post-doctoral levels, Dr. Korostoff lectures on a broad variety of topics. These include the structures of the periodontium, basic immunology, oral microbiology, periodontal pathogenesis and implant dentistry, amongst others. He also serves as a clinical instructor of periodontics and implant dentistry at the pre- and post-doctoral levels. 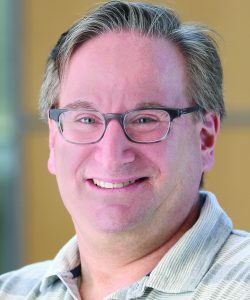 In collaboration with Dr. Joseph DiRienzo, Professor of Microbiology, Dr. Korostoff is a co-investigator on NIH-funded projects with the goals of furthering our understanding of the role of a bacterial cytotoxin in periodontal pathogenesis and evaluating the utility of a genetically-modified version of the same cytotoxin as a potential therapeutic agent for treating certain types of cancer in humans. Additionally, Dr. Korostoff is principal investigator on three corporate-funded clinical research projects studying materials used for guided bone regeneration and immediate loading of dental implants. He has recently assumed the position of director of the Master of Science in Oral Biology Program. Dr Korostoff is an attending periodontist in the Penn Dental Care Network and the Department of Oral Maxillofacial Surgery of the University of Pennsylvania Medical Center.